Mr Wolf’s having a party! The Three Bears have come round to celebrate Baby Bear’s birthday. Grandma Wolf has even come to help. And then the worst party guest EVER barges in. Who invited her? Can Grandma come to Mr Wolf’s rescue and save the day? 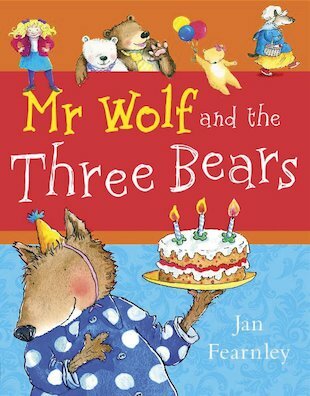 Starring rumbustious rascal Mr Wolf, this is a fantastically lively (and wolfy) retelling of a favourite fairy tale. Winner of the Association of Illustrators Gold Award.